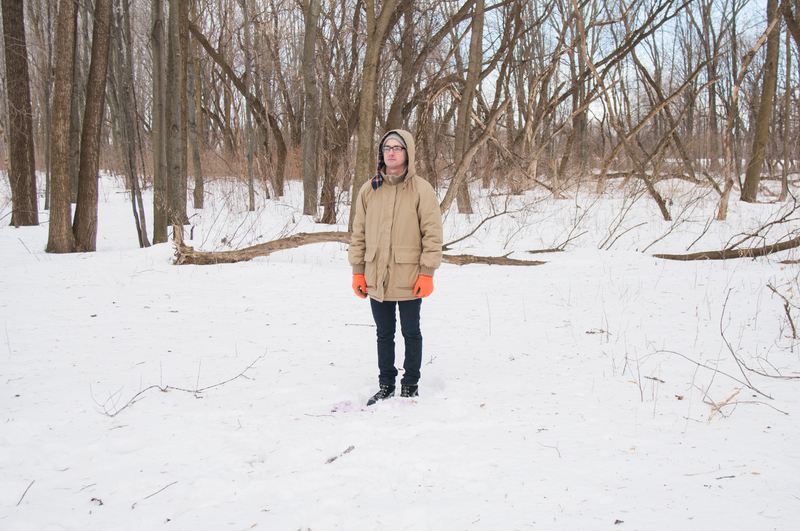 we recently caught up with clark via email to chat about the genesis of his video project and the unsung landscapes of milwaukee, which appear extensively throughout the series. check out the transcript below, and be sure to pause reading to experience the stunning visual works embedded in between questions. for those unfamiliar with milwaukier than thou, what is it? how did you connect with adam and wes for this project? milwaukier than thou is a photo-based blog organized by my friend adam carr, who i first met several years ago when he was working for 88nine radio milwaukee. he has since moved on to a lot of community development projects and currently is active with the milwaukee neighborhood news service. adam has an interesting and unique eye to milwaukee, which led both wes and me to want to include him on this project for the various environments and lesser-knowns about our city that could be included to help the narrative. wes has been a long-time friend, musical companion, and unparalleled creative force that i’ve had to pleasure of working with in various capacities. as adoptahighway, i’ve remixed some of his work from his experimental performance group oculi, and i’ve also had the pleasure of playing upright bass on the tracks “blend modes” and “reconsidering (featuring milo and safari al)” from his 2014 wc tank release almost forever. aside from his amazing output as a musical performer, he also is a very talented filmmaker, so when i knew i wanted to have a visual accompaniment to a fault wes was right there with me. what’s the goal with this visual counterpart to a fault? mirror imagery seems key, and i’m starting to pick up on a potential storyline. the goal of the visual accompaniment for a fault is to supply a narrative that expresses some of the emotions and themes that went into this record: the longing for inspiration; the doubt and uncertainty of expression; the existential dilemmas that accompany an artist and their work; authenticity in your actions. we’re releasing the videos, one for each of the eight tracks on the record, in a mirroring fashion so it leads convexly into the center of the record, which is the title track and what i intended to be the most frenetic and powerful point in the overall expression of a fault. so as each track has its own video treatment and can be viewed singularly, the final, full sequence of film will follow a narrative inwards to the center and back out to the end, which is also where it started. the convex shape is a very relatable journey for an artist, but also unique to the individual. i’m hoping these videos help express that. both of these videos feel warm and pastoral in comparison to their predecessors. what is their place in the narrative? parts two and seven were filmed at havenwoods state forest in milwaukee. it’s a beautiful environment on milwaukee’s north side that was once land for a house of corrections, and then turned into military barracks and missile housing after world war ii, but was eventually abandoned in the 196’s and remained that way until it was officially made into a state park in 1980. it’s a strange separation from the neighborhood that surrounds it, and as far as trying to express a desire to find something within yourself, a longing for inspiration and overcoming doubts, it lent itself quite beautifully. what’s your plan for the rest of a fault? will videos for the other tracks be surfacing anytime soon? parts three through six of the a fault video narrative are complete, and they will find their way into the ether soon. adam, wes, and i actually had the pleasure of screening the full video narrative for a closing reception at usable space gallery in milwaukee in mid-july, but before that finds its way into the brains of those who weren’t in attendance that evening, we want to complete the shape of its convex release. parts one and eight of a fault can be viewed by clicking on their respective links. we’ll be keeping tabs on the arrival of the other installments; the end result should be a spectacle to behold. in the meantime, revisit a fault and visit adoptahighway via the social networks below.